An Accidental Cuban - Kindle edition by Joan Moran. Mystery, Thriller & Suspense Kindle eBooks @ Amazon.com. Harry Cisneros desperately wants to escape moribund Cuba, but he is trapped by circumstances - a wife, a daughter and a lack of money. A dead ringer for Leonardo Di Caprio, Harry&apos;s three years in New Jersey as a teenager and his perfect English, make him an American at heart. No longer content to work in a cigar factory, Harry hustles as a translator in the plaza of the colonial city of Cienfuegos. A chance meeting with a young American couple sets Harry off into a dark odyssey. The couple tells Harry about their experience in Havana of changing dollars into CUCs, the Cuban currency used for tourists. Harry decides to travel to the big city of Havana to explore the black market "dollar" business in hopes of making enough money to leave Cuba with his family. Harry meets the characters involved in the money exchange business that pervades Havana&apos;s underground - a Cuban, a Silicon Valley entrepreneur, and a French restaurateur. Headquarters is Kirpan, a bustling, trendy Cuban restaurant whose partners send Harry out into the streets and plazas of Havana to change currencies and add more dollars to their coffers to invest in Cuba&apos;s potential booming future. To survive, Harry has to thread a complicated maze of disappearances and duplicities. In time, he discovers that nothing is what it seems. An Accidental Cuban takes you into Cuba&apos;s gritty underside, where an assortment of Cubans and expatriates, including Russian mobsters and other unsavory characters, are trying to cash in as the island tentatively embraces economic reforms. Backstabbing and corruption are part of the game. In this milieu, we find Cuban-born Harry Cisneros, who resembles a young Leonardo DiCaprio and longs to return to America, where he lived for many years. Stuck in the seaside colonial city of Cienfuegos, Harry is using his good looks and fluent English to hustle work with tourists. But the pay is paltry, and Harry is ravenously hungry, for both food and for better opportunities. Harry seizes a chance to enter the clandestine money-changing business, and it leads him to Havana and even more opportunities and dangers. As Harry slips deeper into this world, a "rabbit hole" of illegal activity, he must distinguish friend from foe, and identify a traitor in his outfit&apos;s midst. Fast-paced and dripping with ambience, An Accidental Cuban is cinematic, perhaps no surprise given that author Joan Moran was a Hollywood screenwriter for 15 years. The scenes range from plazas surrounded by crumbling buildings, to restaurants and bars that Humphrey Bogart would have felt at home in, to the ruins of a Spanish-colonial fortress used by drug addicts. Fast-paces, exciting, timely, Cuba intrigues as does Moran&apos;s book. An Accidental Cuban is an exciting voyage through the underworld you suspect exists behind the classic cars, lively music, and endemic poverty. Harry Cisneros, the protagonist of this thriller, is the perfect guide. Although a Cuban national, Harry desperately wants to leave a Cuba frozen in time on the surface, but teeming below with crime and corruption. Several years ago, I traveled thought Cuba by bus. I had been a student of Cuba for decades and knew the modern history of the the island since 1959, and even before under the leadership of General Batista. I was determined to know the Cubans and their world. What I discovered is that the island stands frozen in time, without the opportunity for economic prosperity. Cubans are hard-working people, full of life, and dedicated to their music. Most people take a trip to Havana and spent $5000 for a week of sightseeing in the city. The tourists only see the outside of the city and never experience the underground economy that forms the basis of the Cuban government. The taxes that are levied on the worker class who operate businesses in Cuba support the military who govern the island. A young man told me his story in the Place Marti in the city of Cienfuegos. He was a 27 year old national with a wife and child and desperately wanted to get off the island and find freedom in the States. By the time we met, all paths were closed for escape. That is where fact ended and fiction began. What if this Cuban got involved in the underground in order to get enough money to get off the island with his family. This is the story of An Accidental Cuban, a thriller that takes place in modern day Cuba. 5.0 out of 5 starsGreat thrillerdf! What a delight! An Accidental Cuban takes place in contemporary Cuba, a country making a halting transition after being a pawn in the brutal games played between the USSR and the US, but now entering the ultra-competitive modern world economy. While Meyer Lansky and Che Guevara don’t appear in the novel, it’s as if their ghosts haunt everything and everyone in Cuba. While no one outside Cuba itself seems to care about Cubans, everyone covets the Cuban market, suddenly opening to exploitation by giant multinationals hungry for the millions of well-educated but largely poverty-stricken potential consumers of telecommunications, electronics, industrial equipment, and so on. Corruption is growing, and the mob is back, but much bigger and multi-armed in the form of huge corporations able to move faster and on more simultaneous fronts than the old mafia ever could. At the center of An Accidental Cuban is, of course, one person: Harry, a young Cuban who was profoundly affected by years he spent in the United States, which he associates with the modernity and opportunity that he misses desperately as he is unable to return there. The local opportunity, and corruption, which fills his life now is the human-scale reality associated with the massive changes occurring throughout the country. Harry is smart, and ambitious, and navigating through an environment filled with powerful competing forces operating secretively and sometimes brutally. And it is Harry’s story which fuels the wonderful thriller which Joan Moran has given us. It’s a fascinating story, taking place in a fascinating place. Highly recommended! I traveled to Cuba recently and didn’t see what Joan Moran described in her book, An Accidental Cuban. In Joan's book, Cuba explodes with vibrancy, secrets, and corruption in the author’s reality. The mantra could be: nothing’s as it seems. Surrounding the gritty poverty of Havana’s backstreets, the desperateness of ordinary citizens trying to make enough money to feed their families, is a criminal underground whose activities are hidden to the outside world behind the Malecón, the great sea wall that divides Havana from the Caribbean, that divides poverty and despair from opportunities and possibilities. Everyone wants a piece of the Cuba’s modernization, especially Harry Cisneros, the protagonist at the center of An Accidental Cuban, whose chief desire is to get off the island and find his freedom in America. It’s not easy because every avenue of escape has been closed off to him. The only option left to Harry is to join his adversaries in besting the underground economy and corrupting those at the top of the government. This lively book is packed with insight and paints a much broader and realistic picture than Lonely Planet! 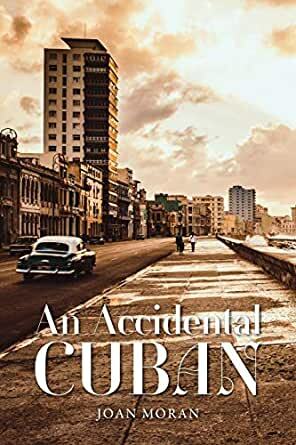 I had no idea what to expect when I started reading Joan Moran's thriller, "An Accidental Cuban". And then I realized I was immersing myself in a complicated world with the lead character, Harry Cisneros, a young man who longs to leave Cuba to seek freedom in America. He is a character full of conflict and emotional ups and downs as he tries to create a new life for his family. When he finds himself in the big city of Havana, he encounters an underground world that draws him toward devious characters and into a life of crime. I couldn't put the book down. Congratulations to Ms. Moran for her descriptive scenes of Havana and Santiago de Cuba as she tells a fascinating story. 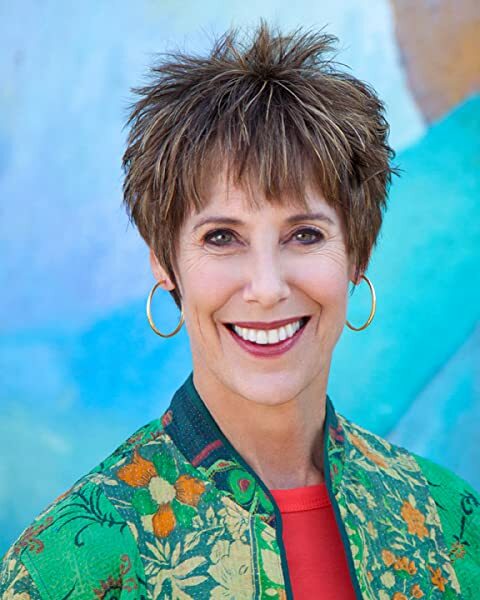 No one inhales modern day Cuba like Joan Moran. Her new thriller, An Accidental Cuban, she creatively lays out the dichotomy of a Cuban landscape bustling with energy and determination and a Cuba with an underground economy as corrupt as any third world country striving to survive. The author's knowledge of Cuban culture is compelling and keeps the reader moving throughout this thriller. At every turn, there is a surprise. At every turn, Harry Cisneros keeps his cards close and his conscious alive as he maneuvers thought the dark underground and the poverty above ground. Harry's desire to got off the island and escape to America is thwarted by the vagaries of scheming fortune hunters and Ruthless Russians. The book is a cautionary tale - Governments who do not allow is citizens the opportunities to experience simple freedoms are doomed to devolve into chaos. I have always wanted to go to Cuba. It seemed exotic to me and filled with historical significance. I thought Havana was Cuba and Cuba was Havana, but Joan Moran’s An Accidental Cuban dispelled that myth. Cuba is alive with a multitude of contradictions. Every city that Harry Cisneros (the major character of the book) visits is teeming with vitality and vivid description. Every character Harry encounters has a unique story about growing up in Fidel’s Cuba. Faced with no possibility for freedom and no opportunities to get out of poverty or marginal living, Harry Cisneros is determined to get off the island and become a U.S. citizen. The road is difficult, filled with moral compromises, guilt, and shame. He encounters an underground economy and a corrupt government that creates barriers for staying the course of righteousness. This thriller surprises with twists and turns and unrelenting mystery. An Accidental Cuban, a thriller by author, Joan Moran, has a richness of description that keeps the reader enthralled. Yet, one line stands out as the thematic center of her book: Harry looks upon his wavering partner in crime and wearily says, “We’ve all betrayed each other and ourselves. It begins with money and ends with money.”This is the existential core of An Accidental Cuban. One of Ms Moran’s writing strengths is how she is able to keep the story’s many characters on tract once the stakes of the plot edge toward self-preservation. Her other strength is her knowledge of past and present Cuban history. It’s an intense story and a great read.